This screencap site was about six months in the making. Magz hated downloading caps from Megaupload 'cause of the assy ads, so she offered webspace to Marishna, who's fairly impressionable. Months later, the actual site finally got finished (again, thanks to Magz) and the rest is a fairly dull and uneventful history. 1. Please credit. You can put <lj user="marishna"> in your LJ resources or link back here on your website. It's just a nice thing to do. 2. Comment. You can find links to the entries in my LiveJournal where I will post all of my caps first in zip files, then later here. Just take a few seconds to leave a note saying you're snagging the caps. Again, just a nice thing to do. 3. NO HOTLINKING. I have absolutely no qualms about replacing your images with something that looks similar to this. Only it'll be bigger, and brighter, and possibly much fouler. 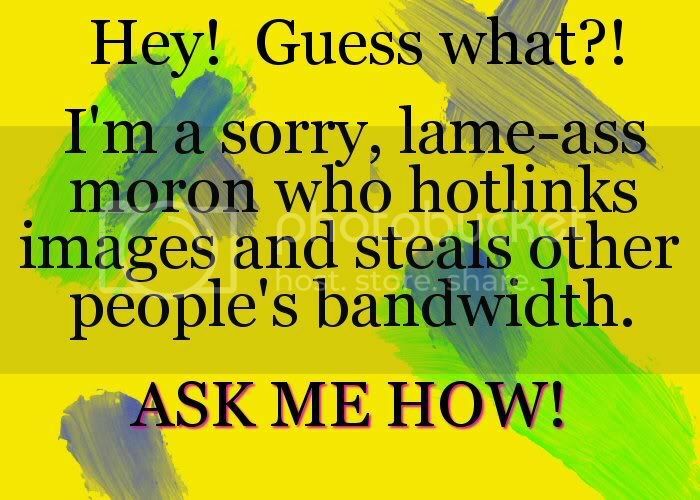 So just don't hotlink. Don't know what hotlinking is? It's stealing (not just images, but bandwidth that people pay for), and you can read more about it here.